Orthopedic surgeons frequently treat patients with distal radius fractures. Fortunately, most of these injuries heal in time without surgery. Patients are typically treated in a cast for several weeks as the bones heal, the swelling subsides, and the pain diminishes. Follow-up x-rays are commonly obtained during treatment to monitor the healing and alignment of the bones. Most distal radius fractures take about 6 weeks for the bone to heal. If the wrist is stiff after the cast comes off, hand therapy exercises can be performed to help. Most patients regain range of motion, strength, and function gradually over the subsequent 2-3 months. It may take some patients up to a year to fully recover their strength, however. Surgeons use several factors to determine the recommended treatment. Things that I consider are the patient’s functional activities, health status, and the fracture pattern noted on the x-rays. I don’t think that a patient’s age is as important as his or her health and activity level. For example, I have seen tennis-playing 80 year-old patients who are more active and healthy than some 40 year-olds, and they have high physical demands on their hands and wrists. On the other hand, there are patients who have significant medical problems which make surgery higher risk. 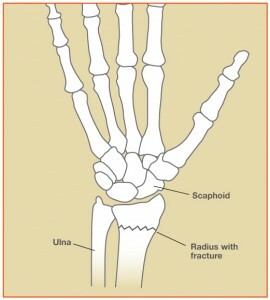 I also assess the fracture pattern carefully. Patients whose fractures are stable and well-aligned on the x-rays are best treated without surgery in my opinion. When the fractured pieces are out of place, restoring the alignment of the bones becomes a treatment goal. In some cases, the bones can be manipulated, or “set,” and realigned with a splint/cast. If the alignment cannot be maintained in the cast, surgery is often recommended to stabilize the fractured pieces and fix the pieces with pins, plates, and screws. Fractures which enter the joint surface are called intra-articular, and these fractures are more difficult to realign with a cast. Displacement of the joint surface is a common reason to under surgery. Importantly, the patient’s desires and expectations are considered. The orthopedic surgeon should discuss the available treatment options, the risks and benefits of each option, and the patient should be welcomed to ask questions. I think that the patient needs to be actively involved in the decision making process in order to make the best treatment decisions possible. If you have a broken wrist or distal radius fracture, please consult with an orthopedic surgeon and ask all the questions necessary to make the right choice for your care. 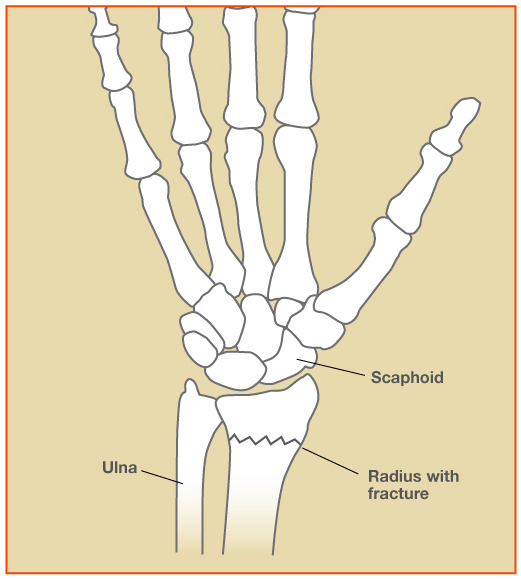 Raleigh Hand Center doctors are specialists in fracture of the hand, carpus, and distal radius.